Priced for outstanding value. 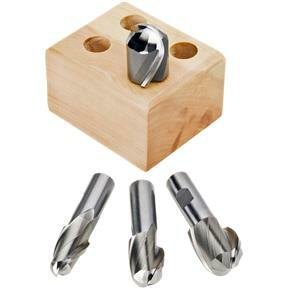 These Ball End Mill Sets provide clean radiused cuts and rounded grooves. 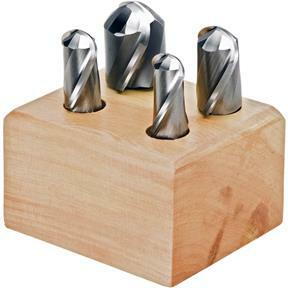 This Jumbo 4-piece set includes: 7/8", 1", 1-1/4" and 1-1/2" sizes. I am a gunsmith, and a customer who is confined to a wheelchair needed a special chassis for his rifle to attach to harness so he can shoot from his chair. I purchased these end mills to groove the receiver and barrel channel. Worked great, made a very smooth cut running at approx. 400 RPM, .030" depth of cut, in my Grizzly G0704 mill.